James Savage, A Genealogical Dictionary or The first Settlers of New England showing Three Generations or Those who came Before May, 1692 on the Basis of Farmer's Register, (1862) , vol. 4, p. 205. Vital records of Sudbury, Massachusetts to the year 1850, Boston, Mass. 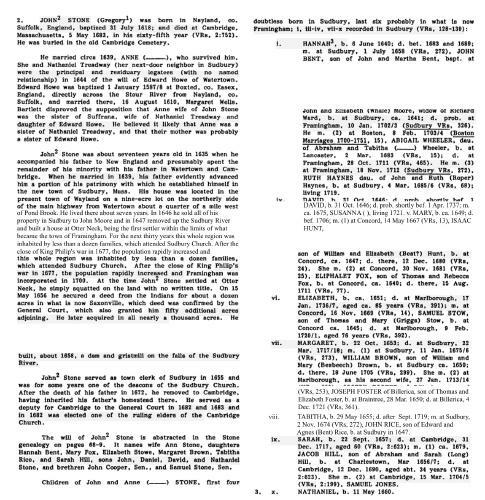 : The New England Historic Genealogical Society, (1903) , p. 138. Daniel Merrick Wheeler, The Wheeler family of Rutland, Mass. and some of their ancestors, Pittsfield, Mass. : (1924) , p. 43. Watertown Records, Comprising the first and second books of town proceedings..., Watertown, Mass. : Fred G. Barker, (1890) , Vol. 2, p. 72. James Savage, A Genealogical Dictionary or The first Settlers of New England showing Three Generations or Those who came Before May, 1692 on the Basis of Farmer's Register, (1862) , vol. 4, p. 204. J. Gardner Bartlett, Gregory Stone genealogy, , at https://books.google.com/books?id=ZxsVAAAAYAAJ . Boston: The Stone Family Association, (1918) , p. 39. Thomas W. Baldwin, Vital Records of Cambridge, Massachusetts, to the year 1850, Boston: Wright & Potter Print. Co., (1914) , p. 676. Thomas W. Baldwin, Vital records of Harvard, Massachusetts to the year 1850, Boston: Wright & Potter, (1917) , p. 306. James Savage, A Genealogical Dictionary or The first Settlers of New England showing Three Generations or Those who came Before May, 1692 on the Basis of Farmer's Register, (1862) , vol. 1, p. 278. Find A Grave Memorial# 21016416. John F. Norton and Joel Whittemore, The History of Fitzwilliam, New Hampshire, from 1752-1887, , at https://books.google.com/books?id=HfzuC7MFRzUC . New York: Burr Printing House, (1888) , p. 726. J. Gardner Bartlett, Simon Stone genealogy : ancestry and descendants of Deacon Simon Stone of Watertown, Mass., 1320-1926, , at https://books.google.com/books?id=6TlVAAAAMAAJ . Boston: Stone Family Association, (1926) , p. 64. Samuel A. Bates, Records of the Town of Braintree 1640 to 1793, , at https://books.google.com/books?id=24Y-AAAAYAAJ . Randolph, Mass. : Daniel H. Huxford, (1886) , p. 746. 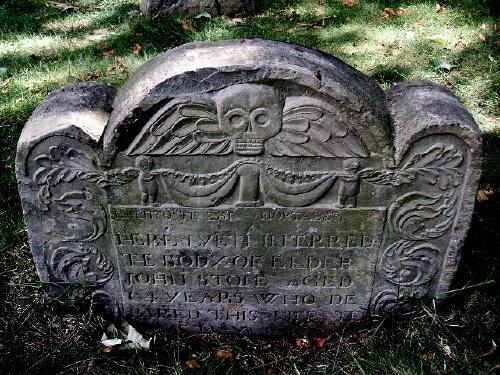 "Massachusetts Births and Christenings, 1639-1915," database, FamilySearch (https://familysearch.org/ark:/61903/1:1:FZD1-MYH : 4 December 2014), Rachel Hinkley, 01 Nov 1707; citing BARNSTABLE,BARNSTABLE,MASSACHUSETTS, ; FHL microfilm 0001250 V. 2, 0001250 V. 3, 0001251 V. 4, 0001251 V. 5, 0161967 V. 6, 0161968 V. 10, 0161969 V. 12, 0161969 V. 14, 0161971 V. 20, 0161972 V. 23, 0161972 V. 25, 0161973 V. 27, 0161974 V. 31, 0161974 V. 32, 0161975 V. 33, 0191968 V. 11. Samuel A. Bates, Records of the Town of Braintree 1640 to 1793, , at https://books.google.com/books?id=24Y-AAAAYAAJ . Randolph, Mass. : Daniel H. Huxford, (1886) , p. 697. 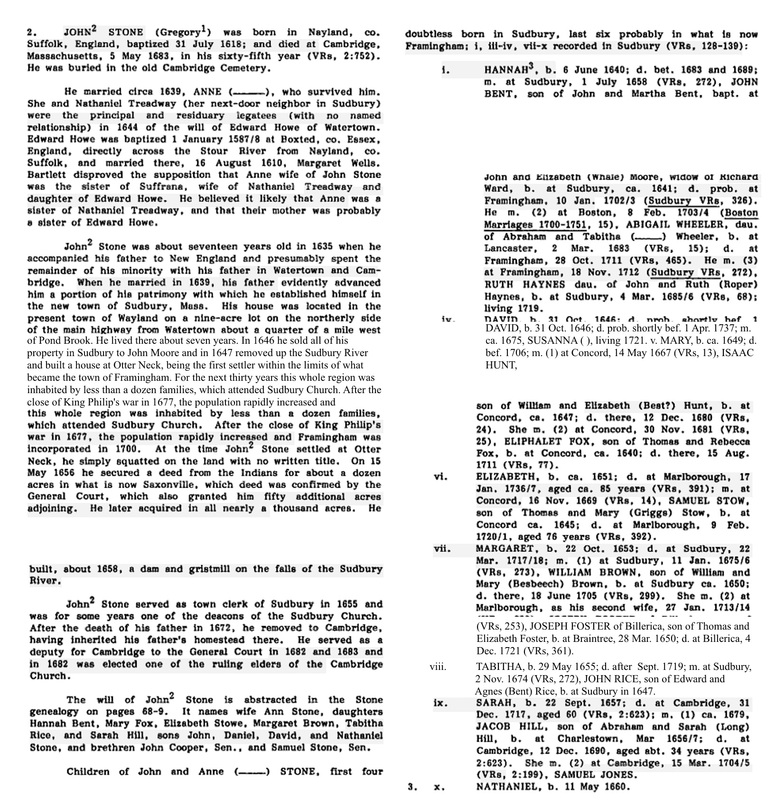 Blaine Whipple, History and Genealogy of "Elder" John Whipple of Ipswich, Massachusetts, , at https://books.google.com/books?id=e59bAAAAMAAJ . Trafford, (2003) , p. 6016. James Savage, A Genealogical Dictionary or The first Settlers of New England showing Three Generations or Those who came Before May, 1692 on the Basis of Farmer's Register, (1862) , vol. 4, p. 206. Nellie Stone was born perhaps about 1895. "Vermont Vital Records, 1760-1954," database with images, FamilySearch (https://familysearch.org/ark:/61903/1:1:2V7D-GN9 : 6 December 2014), James Sivret and Nellie Stone, 14 Dec 1917, Marriage; State Capitol Building, Montpelier; FHL microfilm 2,051,610. "United States Census, 1930", database with images, FamilySearch (https://familysearch.org/ark:/61903/1:1:XMZ4-696 : 8 December 2015), James B Sivret, 1930.